AND THE WINNER IS tells the comic story of Tyler Johnes, a self-obsessed movie star, who is finally nominated for an Oscar, then dies the night before the awards. Outraged at his bad luck and determined to know if he wins (even though he's dead), he bargains with a heavenly gatekeeper to return to earth for the big night. Along the way, he drags his agent, his acting rival, his bombshell girlfriend and his ex-wife into the journey, in a wildly twisting tale of Hollywood, the afterlife, and how we are judged. In this hilarious comedic romp, four friends have sworn to keep the promise they made on the night of their Senior Prom: to be in each other's weddings…no matter what. More than thirty years later, these Southern friends-for-life are still making "the long walk" for each other, determined to honor that vow. Libby Ruth, the hopeful romantic with the perfect marriage, believes—in spite of all evidence to the contrary—that her friends can find the very same happiness. Headstrong Deedra's "rock-solid" union hangs by a thread when she discovers her husband of many years not only has a wandering eye, but the hands to match. Monette, flashy, high-spirited and self-involved, continues to test her friends' love and patience with all-too-frequent trips down the aisle. And salt-of-the-earth, tree-hugging Charlie discovers—the hard way—that marital bliss is not the end of her rainbow and panics in outrageous style when the opportunity presents itself. 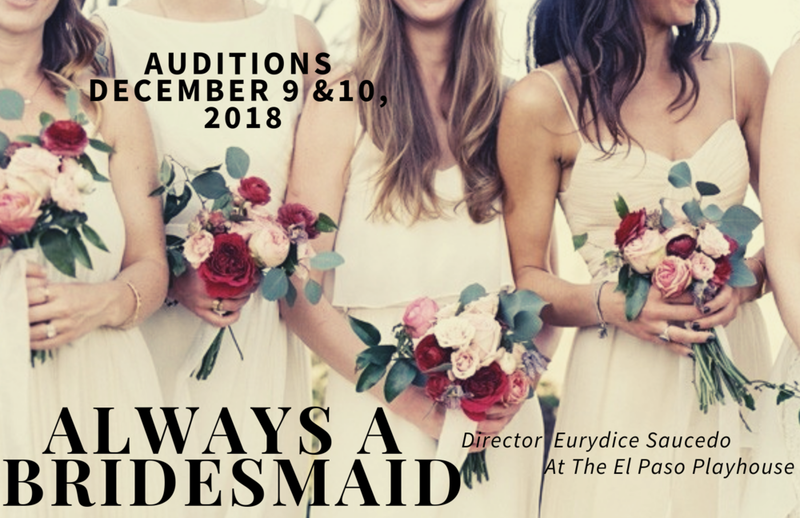 Hop on this marriage-go-round for a laugh-out-loud journey with these beleaguered bridesmaids as they navigate the choppy waters of love and matrimony. Libby Ruth, Deedra, Monette and Charlie are committed to the notion that careers, waistlines and even marriages may disappear, but real friendships last a lifetime. Forsaking all others, in sickness and in health, they repeatedly struggle to stage the perfect wedding in spite of fistfights at the altar, runaway brides and the mistaken, and unfortunate, release of a flock of white doves on the first day of hunting season. ALWAYS A BRIDESMAID is the rollicking tale of four loyal and determined women who definitively answer the question, "Just how far are you willing to go to keep a promise to a friend?" If you've ever elbowed a stranger out of the way to catch a bride's bouquet, seriously questioned the mental stability of the duo saying "I do" or been forced to wear the world's ugliest bridesmaid dress, this deliriously funny JONES HOPE WOOTEN COMEDY is definitely for you…and your dearly beloved! Thank you to everyone who participated in this year's audition process! Head shot and Resume welcomed. The audition will consist of cold readings. 1-2 min monologue either comedic or dramatic are welcomed.